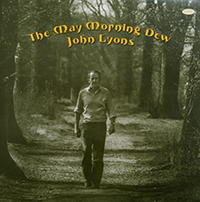 JOHN LYONS of Crussa, County Clare, lived amidst the traditional music of his area of Ireland all of his life and was a very fine singer and melodeon player. This recording from 1974 manages to capture both the nuances and strengths of his music. “The fervour and humour of these performances make attractive listening.” Ballymena Guardian.